Top 5 Dining Options for Student Groups in Washington D.C.
Home » Print Editions » 2019 Edition » Top 5 Dining Options for Student Groups in Washington D.C.
Hungry visitors to Washington D.C. need not worry – The District’s dining options are endless and sure to have something for everyone. After long, tiring days of travel and exploring the capital city, nothing sounds better than a well-cooked meal shared with lively company in a unique atmosphere. While Washington D.C. has a wide variety of restaurants with different cuisine options, this city’s food scene is best known for thinking outside the kitchen and innovating to create a local flavor unlike any other. 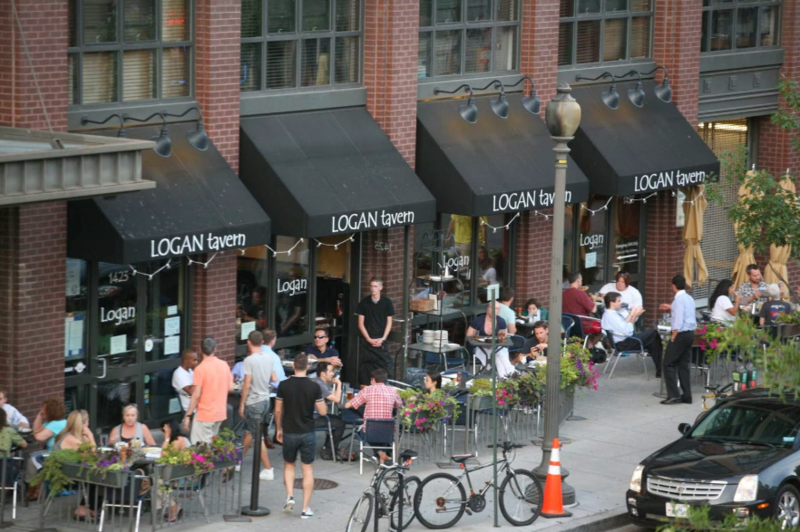 To treat your student group to a true taste of D.C.’s culture, check out our five picks of authentically original eateries in Washington D.C.
You and your student group will be charmed by both the sophisticated elegance and the chef’s creations at Logan Tavern. The restaurant’s menu features Southern comfort favorites like burgers, fried chicken, meatloaf and fresh veggie dishes with a gourmet twist. For dessert, indulge in the tavern’s signature mango key lime pie. Private dining options include the Outdoor Patio, which seats 32, the Side Dining Room, which seats 55, or all the dining rooms combined to seat 130. With food options to suit everyone’s tastes, the Logan Tavern is the perfect place for you and your student group to relax and enjoy a meal together. To inquire about making a group reservation, fill out the form on the restaurant’s website. 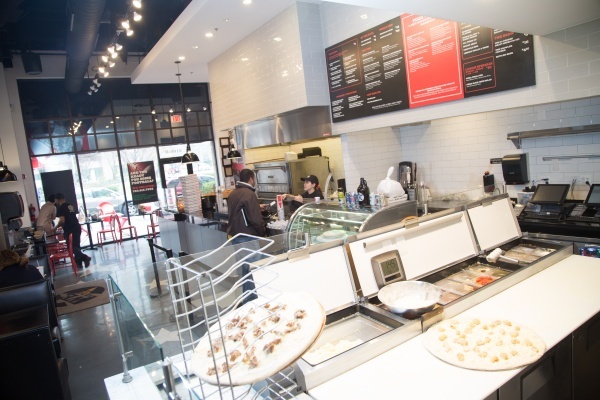 One of D.C. locals’ favorite pizza parlor, We, the Pizza focuses its efforts on bringing communities together around a shared love of quality pizza. The restaurant is well-known for its artisanal pizza and craft soda creations that experiment with ingredients to make surprising flavors. The restaurant has regular and cast iron pies and also offers wings and garlic knots. We, the Pizza can accommodate groups of 15-170 people with their private dining options and has group food packages available that include pizza, salad, and drinks. Head to their website to learn more about their mission and scheduling your event. For student groups that appreciate a cultural experience while they dine, The Bird may be their new favorite. The restaurant is dedicated to responsibly sourcing their poultry and respecting the animals they use by putting every part to use in the meals. 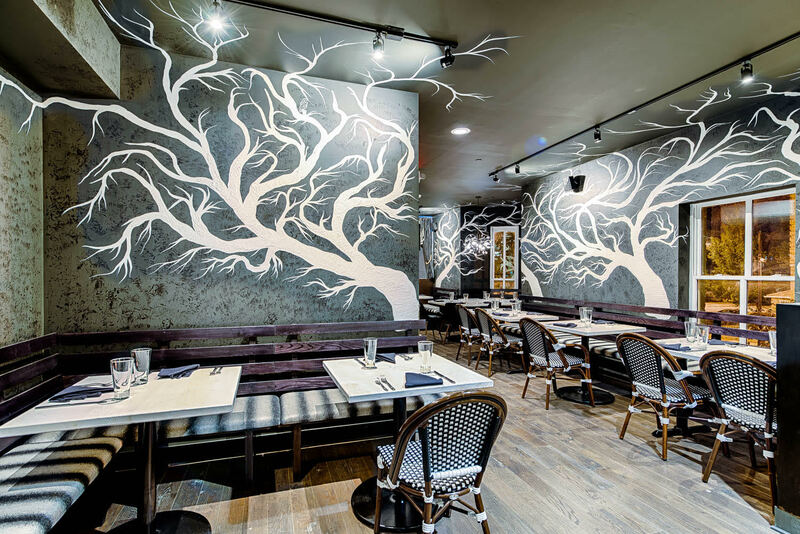 This mission intersects with art inside the restaurant, where nature-themed murals painted by local artists decorate the walls and bathrooms. The menu includes a range of poultry dishes, such as fried, roasted and grilled chicken, paella, hen risotto, duck breast and burgers. Other birds found on the menu are pheasant, quail, goose, turkey and ostrich. The Bird’s private dining options are available year-round with spaces such as the Fall Dining Room for up to 20 people, the Winter Dining Room for 40 guests, the Spring Bar dining room for a maximum of 20 people and the covered Summer Patio, available seasonally for 30 people. Larger groups can also elect to rent out the Full Restaurant, which fits 100 inside and 200 including outdoor seating areas. To explore these options, visit The Bird’s website. 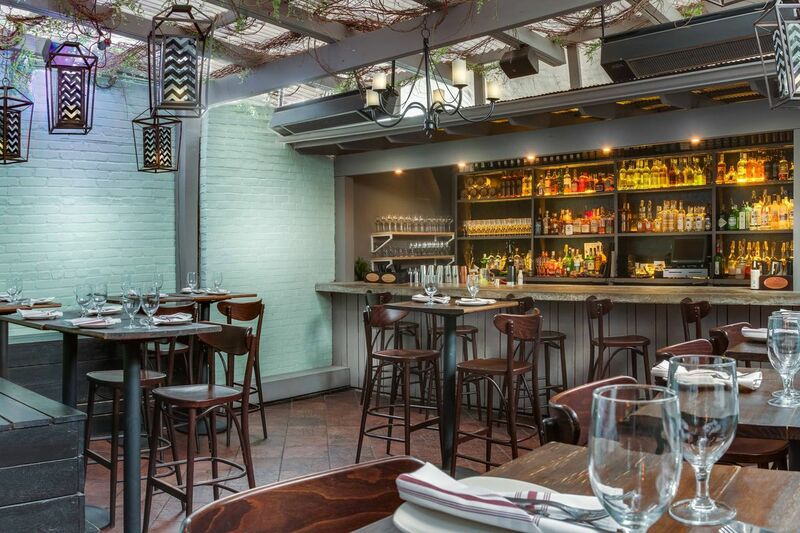 Travel to Southern Europe through the authentic Balkan fare of Ambar. This edgy restaurant is the first modern Balkan restaurant in D.C. and is the winner of the Diners’ Choice Award in both 2017 and 2018. Groups looking to dine here together more privately have the option to reserve a space in the semi-private Gallery for 10 people, a Rooftop Patio for 25 people, the Main Floor for 40 people, the Second Floor for 45 people or a full buyout for up to 150 guests. The restaurant’s rustic interior design complements its casual and inviting atmosphere. The cuisine offered includes flatbreads, meat kebabs, vegetable soups, and traditional “small plates” featuring a variety of slow cooked, red meat, poultry and seafood dishes. Ambar specialties consist of mushroom crepes and leek croquettes. A look at the restaurant’s rich food gallery will immediately entice interested groups to submit their reservation request. Is it a Saloon? Is it an Inn? It’s a Restaurant! Named Restaurant Business Magazine’s 3rd Top Independent Restaurant in the U.S. in 2014, Old Ebbitt Grille combines its history with a legacy of quality to create a superior dining experience for its guests. Founded in 1856, the restaurant was D.C.’s oldest saloon and a boarding house for former presidents until it was turned into the traditional and classic establishment it is today. 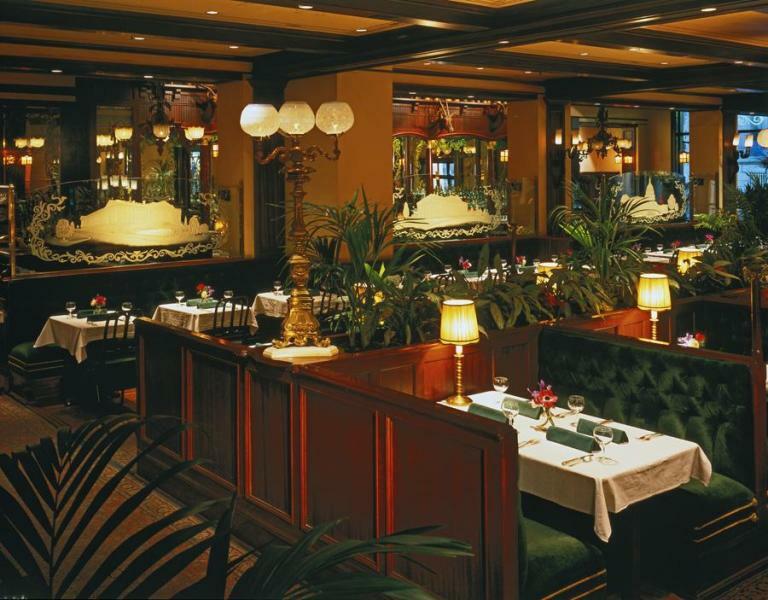 Its Beaux-Arts front façade, mahogany woodwork and plush velvet booths make Old Ebbitt a comfortable and intimate environment for you and your group to enjoy its upscale American saloon food. To accommodate large groups, the restaurant has private dining options such as the Cabinet Room for 50 people, the semi-private Partial Atrium for 150 guests and the Rooftop Terrace for a 250-person capacity when the weather permits. Private events have pre-set menus of salads, vegetable and potato sides, chicken or fish entrees and assorted desserts. For more information about the restaurant’s private dining, click here.